Turn up the intensity of your workouts and achieve maximum gains in strength and size in a minimum amount of time. 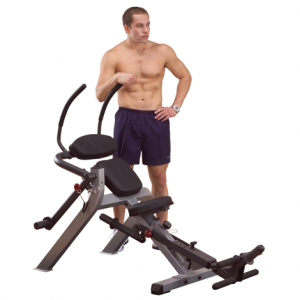 The PowerLift Free Weight Leverage Gym allows you to work out without compromise. Feel free to max out and train to muscular exhaustion for accelerated gains. 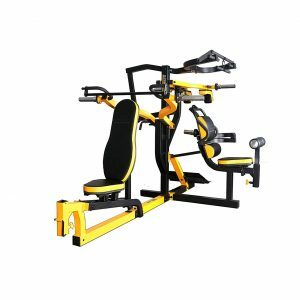 The PowerLift’s versatility and advanced safety features ensure a complete heavy-duty workout without the need for a spotter. Load up the plates and reach failure safely! Perform bench / incline / decline and shoulder presses, pec flies, lat pull downs, preacher curls, squats, calf raises and much, much more! 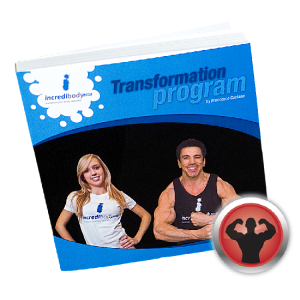 Over 40 exercises are available on this versatile leverage free weight gym. 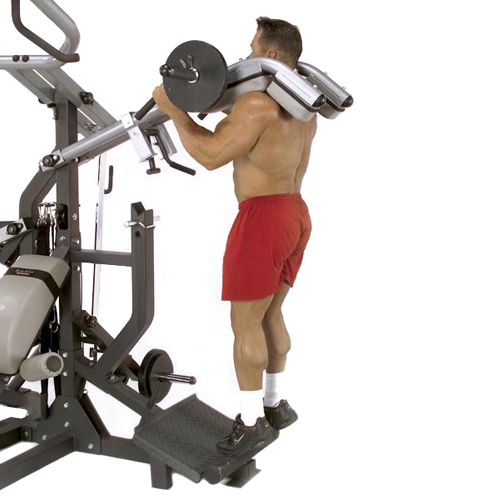 Each station adjusts to fit your size for proper positioning, beneficial pre-stretch and full range of motion. Every repetition on this rock-solid training center feels just right. 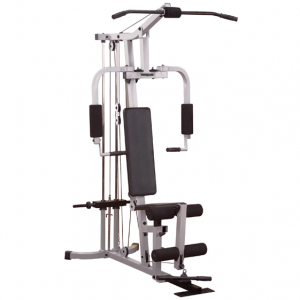 The PowerLift features 2 – 2″ and 3″ thick DuraFirm seat, back and shoulder pads to support you comfortably through the heaviest routines, DuraFirm upholstery is super tough, sweat and tear resistant and is guaranteed to never bottom out. 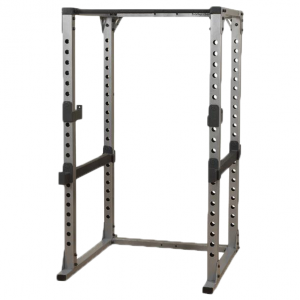 The extra heavy-duty mainframe is built from 10 and 11 gauge high tensile strength steel with all-4-side welded construction. There is no other machine in its class that can compare to its strength and stability. Each leverage exercise station moves fluidly on pivot points utilizing commercial-grade pillow block bearings and oversized bronze bushings. Durable, electrostatically applied powder coat finish resists scratches, scrapes and chips. The textured finish hides fingerprints and cleans easily. 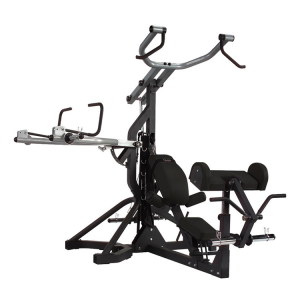 The PowerLift Free Weight Leverage Gym is built to last a lifetime and is backed by the Body-Solid Exclusive In-Home lifetime warranty on everything; pads, pulleys, cables, frame. You name it—it’s all covered. Forever. Period. • Chest: Bench press, incline press, decline press, converging chest press, converging incline press, converging decline press, pec fly, incline pec fly, decline pec fly, and crossover. 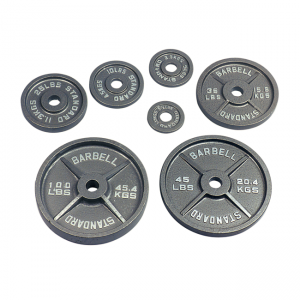 • Back: Bent over row, deadlift, good mornings, chest-supported mid-row, one arm row, frontal lat pull down, lat pull down, pullovers, high row, upright row, and shrugs. 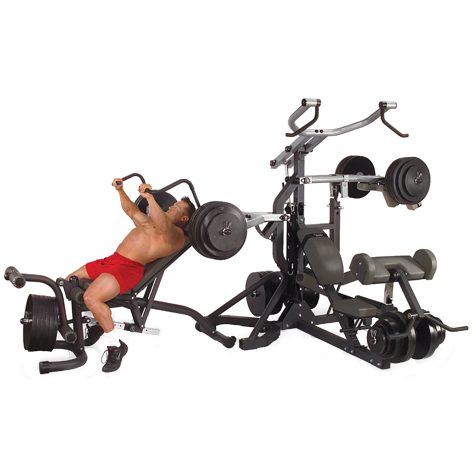 • Shoulders: Standing military press, standing shoulder press, incline front deltoid raise, seated shoulder press, seated military press, converging shoulder press, and reverse delt fly. 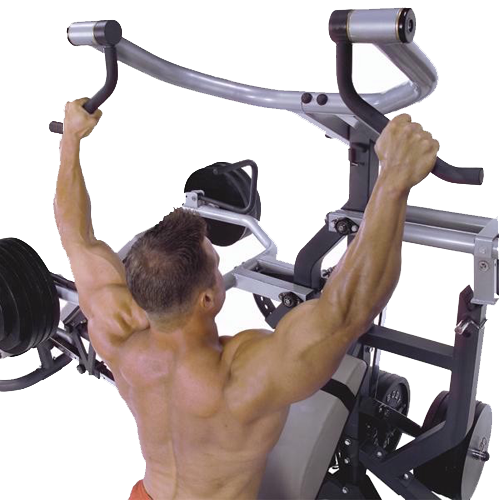 • Biceps: Standing biceps curl, standing reverse curl, preacher curl, reverse preacher curl, and incline biceps curl. • Forearms: Front wrist curls, reverse wrist curls. 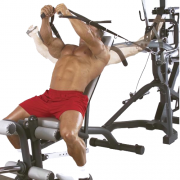 • Triceps: Narrow grip triceps press, lying triceps extension, seated triceps extension, and triceps pushdown. 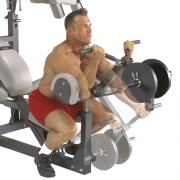 • Legs: Calf raise, squat, front squat, lunge, prone leg curl, leg extension, leverage squat, and leverage calf raise. • Abdominals: Resistance ab crunch, resistance oblique crunch. 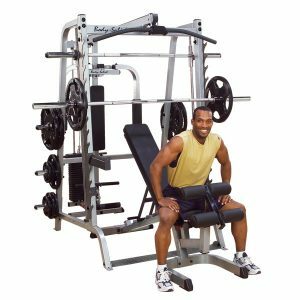 • Frames: Extra strong and extra large 3″x3″ 10 and 11 gauge steel mainframe with all-4-side welded construction and thick, reinforcement plates give the PowerLIFT the strongest frame in its class, bar none! • Commercial Grade Pillow Block & Sealed Ball Bearings: Provide precision movement and friction-free performance without play even under enormous weight. 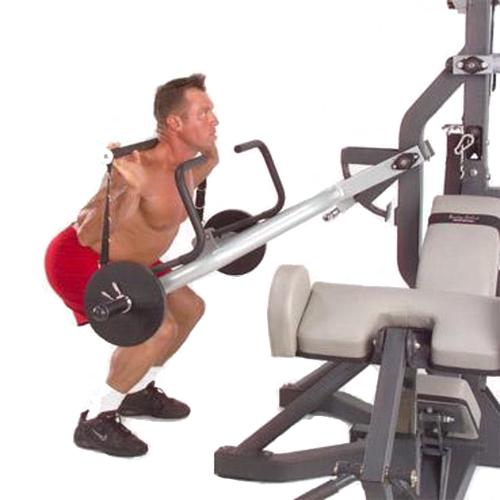 • Safety Guards At Every Station: Prevent pinning under heavy weight and allow you to max out without a spotter. • Tough, Durable Powder Coat Finish: Our electrostatically applied powder coat finish resists chipping, scratching and corrosion. 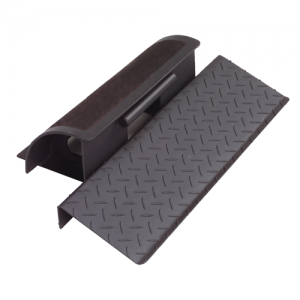 The specially textured finish is easy to clean and hides fingerprints. • DuraFirm Pads: Our exclusive DuraFirm Pads are tear resistant, extra thick and ultra comfortable. We use the highest density foam in the industry for a lifetime of support. Our pads will never bottom out…guaranteed!